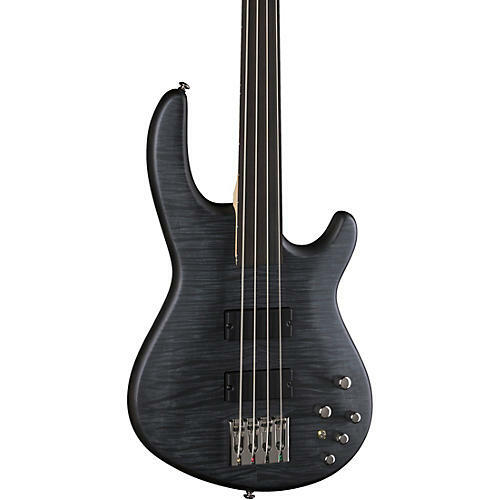 The Dean Edge 4 Flame Top Fretless Electric Bass Guitar has a comfortable double-cutaway mahogany body, Flame maple top and a bolt-on maple neck with a a 34" scale. Comes standard with DMT Design pickups with an active preamp section, an ABM adjustable bridge and solid, die-cast tuners. Also features a 24-fret Pau Ferro fretboard and mother-of-pearl dot inlays. Case sold separately.